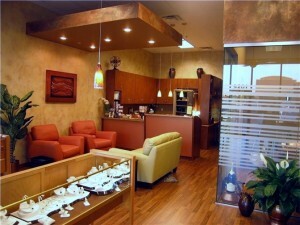 Champagne Jewelers is owned and operated by Frank and Cindy Liu of Liberty, Missouri. The store is named after Cindy’s maiden name, Champagne. Frank and Cindy are both Master Bench Jewelers and each have experience designing and repairing jewelry for nearly 40 years. Together, they opened the store in 1995, which was originally located next to the movie theater in Liberty. 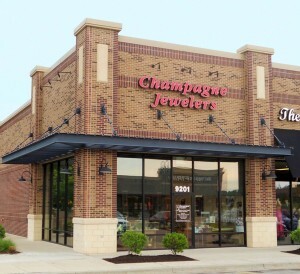 Over the years, Champagne Jewelers grew into a larger store and moved across the highway into Kansas City. In addition, Champagne Jewelers has created multiple designs that have won awards from the Missouri Jewelers and Watchmakers Association. To this day, Champagne Jewelers preserves a reputation of honesty, integrity and professionalism in the jewelry industry, as well as in the Liberty and Kansas City communities.